I was born in Staten Island, NY and lived there until I was 14, while I attended the Yeshiva of Flatbush. I continued at YoF while I moved to Long Island. After high school, I learned at Yeshivat HaKotel (now Netiv Aryeh) for a year and a half. I majored in English literature at Queens College until I made Aliya. I've been living in Israel for 15 years, during which time I've served in the IDF as a map technician in the artillery corps, met and married the love of my life, and have 3 beautiful daughters. I've been guiding groups for about 15 years and plan on continuing for as long as I'm able. 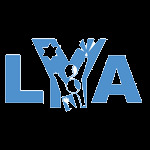 I am looking forward to working with LYA again. See you next week.